The palimpsest left by the missing letters on this sign don’t do much to clue me in to its original meaning. Maybe it meant that “SERVECES” would begin minutes after a candle lighting? 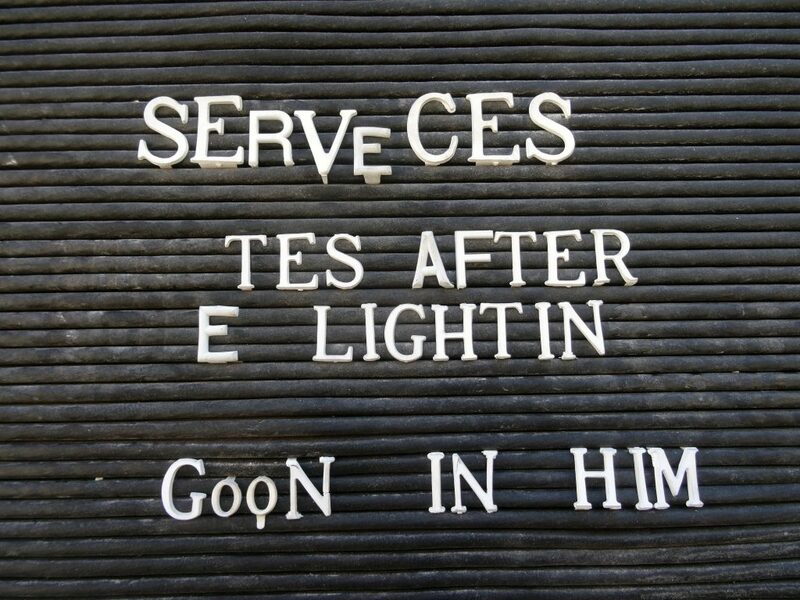 Wither the meaning of “GooN IN HIM“, with a tear drop falling from the second O?